L.L.M L.L.B B.A. L.L.B M.D. B.H.M.S. B.B.A. L.L.B B.Com.L.L.B Dual Degree M.B.B.S. Coming from a non- legal background, I was just as apprehensive as any other person would be about choosing law as a career. Once decided, there was nothing nothing left but to choose the right college. 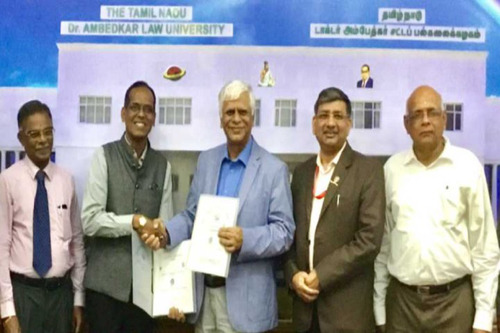 From a myriad of options sprung the name School of excellence in law under The Tamil Nadu Dr. Ambedkar law university fondly called as "SOEL" by its family. Describing this family can be done in three parts: firstly, the Students - once you enter the campus you are bound to be greeted by heavily built seniors. But fear not, because these aren't the people from movies who you should fear but rather they're just there to make more friends and increase their contacts because let's face it, who's a lawyer without his contacts? They do not loose even the slightest chance to make you feel at home. So if you're there to make friends and not to cause trouble, then you won't find any problem with them. The Second best thing in SOEL - it's Faculty. Although they have a relatively night difference in the student - teacher ratio, there are a lot of gems in these few. Some of whom you will miss even more than your home when you're away. They are there to make you feel safe and prepare you for a world of competition between people from all walks of life. Short and sweet: don't show faces and you'll get all their graces. 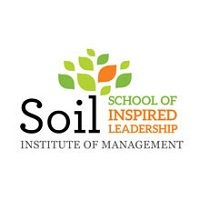 The third part of explaining life in SOEL - it's campus. The TNDALU prides of having a 15 acre campus with air conditioned classrooms and a separate block dedicated for the library covering all decent books you need to complete the course. Unfortunately, they do not have a hostel for boys, but there is a seperate hostel block for girls and it is rather decent. That being explained, the TNDALU has four full time courses for undergraduate degree- BA. LLB(Hons. ), BBA., LLB(Hons. ), BCom., LLB(Hons. ), and BCA., LLB(Hons.). Although my knowledge is limited to only the undergraduate courses, It is safe to say that they also host various other courses for LLM postgraduate degree. The college also hosts two prestigious moots namely: the KR. RAMAMANI MEMORIAL NATIONAL TAXATION MOOT, and the PRO BONO NATIONAL ENVIRONMENTAL MOOT. Apart from this, they have a very ardent Moot court association(MCA) which keeps its website updated with all the upcoming national moots. This combined with the colleges lenient working hours makes sure the students receive immense exposure like no where else. Ultimately it all depends on how you use these. Last but not the least, when it comes to placements the College boasts a relatively decent placement record like any other high - profile college. Although as you would know by now from all the research that you did, that the law school placements cannot be compared to that of an engineering college or an arts college considering the very limited number of students who sit for campus interviews. But still, if you have a decent score and a impressive CV(which you don't need to worry about now. You will get to know how to build it over the years) then I guess it is a safe bet that you'll get placed in a visiting firm or company. I conclude by saying that SOEL does have its own set of flaws like any other law school or college of other streams as a matter of fact. But all those apart if you're here to have the ideal college experience while building a secure future, then it's the go- to place for any law aspirant in the country. 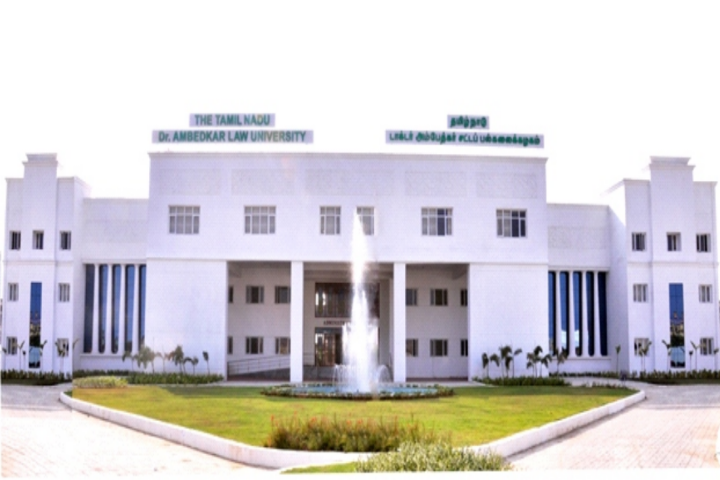 School of excellence in law, Chennai which is under The TamilNadu Dr. Ambedkar Law University,Chennai is one of the eminent law school in south India and it is the best college for law in TamilNadu. The college has won in many National and International Moot court competitions.It also hosts two national moot court competitions. K.R.Ramamani Taxation moot court competition and pro bono enviro national moot court competitions. 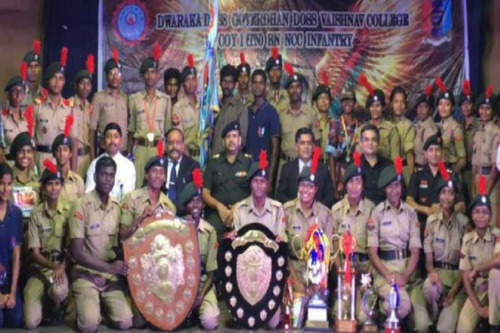 The college also proved that law students can also excel in extra-curricular activities by winning in many cultural and sports events in TamilNadu. 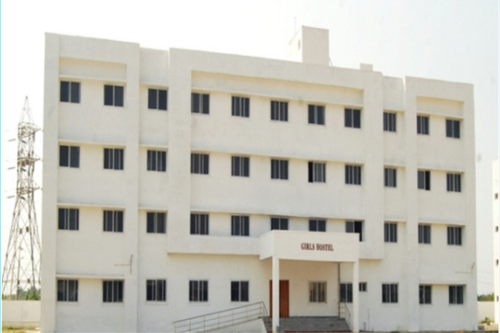 The hostel facility is available only for girls currently and boys hostel is in progress.The hostel fee is affordable but the food provided in hostel must be little more tasty and hygienic . The college has access to various law journals like Lexis Nexis, Manupatra, etc.and the placements in the college are disappointing wherein a college where nearly 200 students pass out only 10-15 are placed under campus placements and where only three to four law firms or companies approach the college for campus recruitment. Therefore the college placement cell must be more efficient.The college initially offered B.A,B.L(HONS) and B.L(HONS) course but now after the year 2015 it also started offering courses like B.com,B.L(HONS), B.sc, B.L(HONS), B.B.A, B.L(HONS), B.C.A, B.L(HONS) and there are around 1900 students studying in this college now. But the college is having only 31 permanent faculties meeting the U.G.C Requirements and where a maximum of the classes are taken by Guest lecturers. So there are only 31 permanent faculties having proper experience for 1900 students. 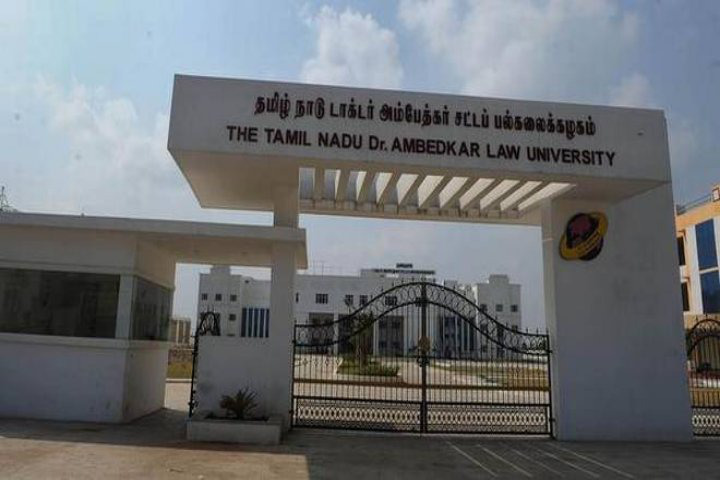 There have various protests by students for the purpose of increasing the faculty members and there have been court orders to appoint more faculties but there is no improvement in the condition.Due to this reason the marks of the students are going down when compared with other law colleges. The standard of the school of excellence was really an excellence at the initial years but it now it requires drastic improvements especially in the matter of faculties and placements to bring SOEL back to its form. The University , named after such an eminent statesman , is slowly but steadily emerging out of its shell as an institution to take note of. Infrastructure : The University recently shifted to a 25-acre campus in Taramani . 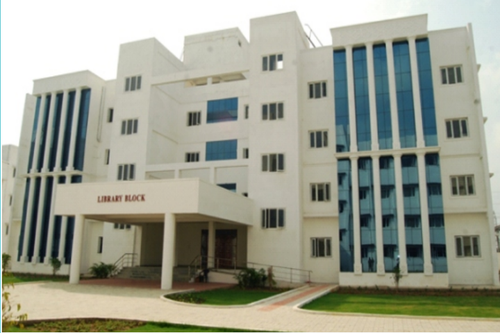 Located on the outskirts of the city , the campus is spacious with separate blocks for U.G and P.G courses , amenities etc. 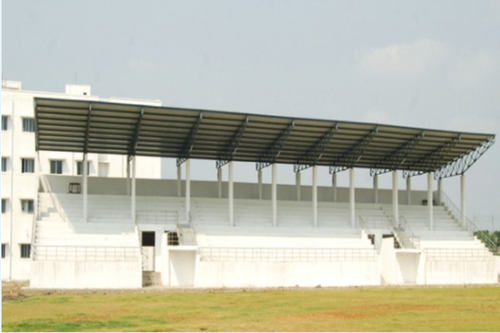 A colossal stadium , enabling the conduct of sports events , provides a much-needed stress buster to the young lawyers in the making. The student's canteen , however, is lacking in cleanliness. Courses : The courses offered are diverse and not just limited to the usual Ba Bl but include Bcom BL , BCA BL and BBA BL . The student intake is very high. Faculty :The faculty is well versed in their respective areas. However , the faculty-student ratio is mismatched : there is not enough permanent faculty to cater to the high student population. 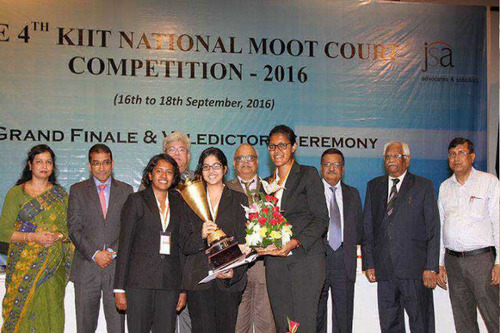 Moot Courts : The college conducts two national Moot Court Competitions :the Pro Bono Enviro Moot Competition and K.R Ramamani Tax Moot ; both moots witness enthusiastic participation from top law schools in India. Peer Group : The students are extremely talented and intelligent. 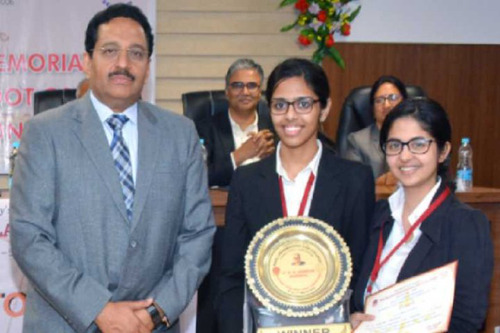 They have been winning laurels at Moot Court Competitions including Henry Durant Moot , Justice P.N Bhagwati International Moot etc. The topper in the IAS Exam 2010 was from our college and there are much more students who have successfully cleared the Civil Service and other competitive exams. Students actively participate in sports events , Youth Parliaments etc. This exposure and encouragement the authorities give is the icing on the cake in our college life. Placements : The past two years have seen a good growth in the number of law firms approaching the college. But the placement cell needs to work more proactively to further increase the numbers. Hostel : The girl's hostel within the campus is decent , with good food. The boys' hostel outside the campus needs improvement with respect to food and water facilities. 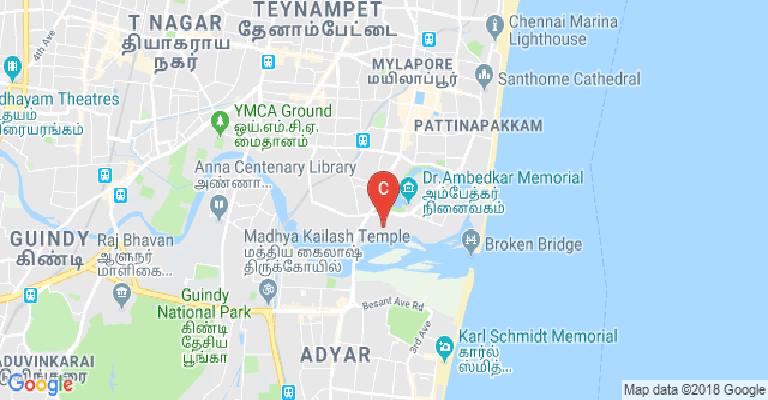 Accessibility and Affordability : The college is located right next to the Taramani Railway Station , making it easy for those who choose to commute by train. Traffic on the roads during peak hours is sometimes a problem. The fee structure is completely affordable. 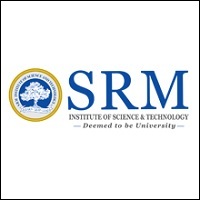 Seminars and Lectures : The college needs to work more proactively in organizing lectures by eminent jurists. 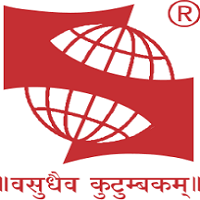 Journals : The college publishes its own journal , the Indian Student Law Review (ISLR) . Overall , I think that the pursuit of excellence in School of Excellence is steadily and firmly reaching finality. The college campus roofs all vital infrastructural facilities from air-conditioned wifi-enabled lecture halls, huge well-equipped blocks for the library, office administration, sports and canteen, large auditoriums provisioned for seminars, conferences, and committees, spacious moot court halls, serene ambiance to recreational girls' common room. A campus-oriented commercial bank outlet would allow fee payment, money transaction, savings,etc. Industry exposure in the faculty of law is earned at internships and at the library. Thus, a well-updated, well-sourced library is a definite need. Access to varied legal websites and sources must be made available to students. The college has to nurture more clubs in the interest of students.There are very few clubs and associations mostly based only on the legal spectrum. Language clubs, Reading clubs, Art and performance clubs are not present. Placement and other career concerns are not much of a brag. As practicing law as a profession is mostly a matter of individual advocacy skills. College can still house more law firms and legal venues that will widen the scope of employment greatly. 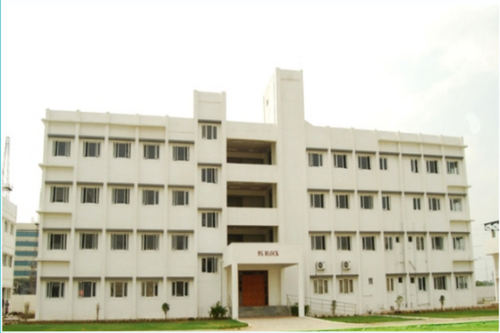 College can conduct workshops on language efficiency and inter-personal skills. College hostel service is present only for women. 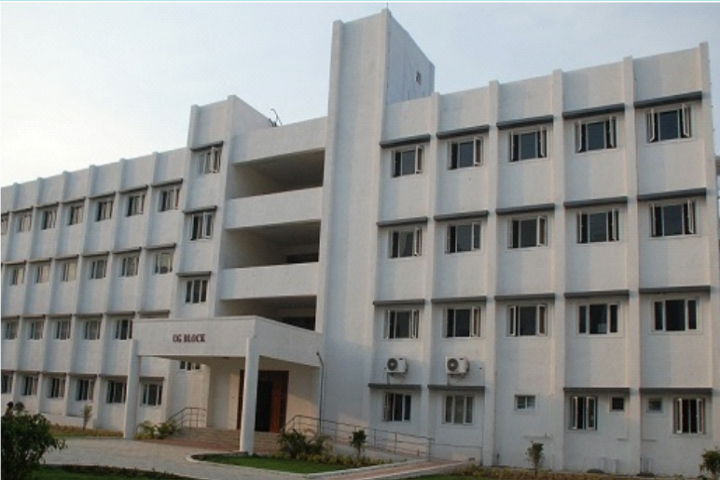 College hostel is par excellence with reasonable restrictions and good healthy food being catered. Curfew timings seem a tad bit affecting, though. College professors are very intellectual and a stream of refined knowledge. Their techniques and methods of teaching are rightly inclined. But restraints in communicating their knowledge due to language inefficiency has always posed a serious barrier in the path of obtaining knowledge. Student diversity has a satisfactory impact in the college as there are unity and security as a student community on the whole. The vibrancy seen among the student diversity is healthy and refreshing. Both grievances and perks are addressed and reacted by the entire student community. 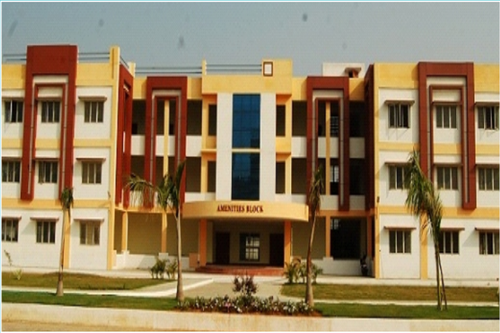 Admission to the college is mainly merit-based. Being a government institution., the college levies affordable fees only. It is entirely worthy of paying an average of fifty to sixty thousand per year as tuition fees at this good institution. NRI fees are not so nice I suppose. The Tamilnadu Dr Ambedkar Law University, Poompozhil 5, Dr. DGS Dinakaran Salai, Chennai – 600028, Tamilnadu, India.